Check out our new YouTube channel and be sure to hit the subscribe button to be notified of new videos posted. 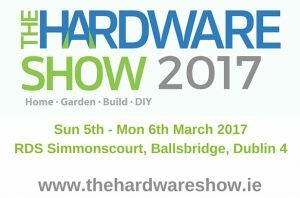 Visit us on Stand L24 at the upcoming Hardware Association trade show. All visitors to our stand are eligible to enter our Prize Draw to be in with a chance of winning a state of the art 43″ LG Smart TV. Small Firms Association Business Awards. 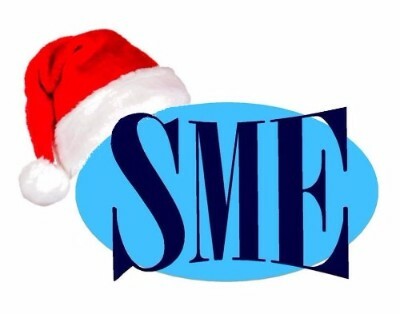 We are delighted to announce that SME Sales are short-listed finalist in the SFA National Business Awards 2019 in the category of Outstanding Small Business. A total of only 36 companies have been short-listed for consideration across seven categories. The awards offers us unparalleled opportunity to promote our business on the National stage. Judging will take place over a number of events during Q1 concluding in a Gala Awards Ceremony in March. We are delighted to announce our new Mirror Brochure is complete and ready for download. 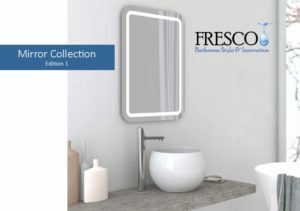 This new brochure represents the complete range of mirrors, both illuminated and non illuminated, mirror cabinets and make-up mirrors currently available. We have carefully selected a range of stylish modern and contemporary designed mirrors and cabinets to suit all tastes and budgets. Our products are designed and manufactured in Europe to the highest specifications using only the finest materials so you can have peace of mind choosing our products. All mirrors conform to modern safety standards and are highly energy efficient. Mirrors will be branded under our new FRESCO brand going forward. Click the image to download.. This year we are making a charitable donation to the Peter McVerry Trust. Peter McVerry Trust is a charity set up by Fr Peter McVerry to reduce homelessness and the harm caused by drug misuse and social disadvantage in Ireland. We close for Christmas Holidays on Tuesday the 19th December and re-open again on the 2nd January. To ensure delivery of orders before close of business, we ask you send your orders by Thursday 14th December. We would like to take this opportunity to thank you for your continued support throughout the year and look forward to talking to you in the new year. Click on the above image to register your place. We close for Christmas Holidays on Friday the 16th December. To ensure delivery of orders before close of business, we need to have your order by Wednesday 14th December.